Brokers Remarks: "LA NOVIA" presents a rare opportunity to purchase an extremely well maintained - One Owner - Never Chartered - Owners Version Leopard 48 with many upgrades. Features Include: Upgraded Twin 54 hp Yanmar Engines (4JH5CE) (1400 hrs), 110v Electric System, Electric Furling Genoa with a new spare Genoa, Bow Sprit for Code 0 (no sail), Custom Storage in Galley, Upgraded Raymarine Electronics, 9kw Northern Lights Generator (497 hrs), 3x Cruisair AC Units, Solar, Composite Teak Decking, 3x Electric flush toilets (Salt and Freshwater Options), Custom Forward and Aft Cushions, Custom Teak Salon Table convertible to Coffee Table, Custom Aft Teak Coffee table, Electric Winch Davit System for Dinghy, New Bottom Paint April 2018, Zincs, Wax/Polish completed 4/2018... All Sheets, Bedding, Cookery, Galleyware, Safety Equipment, Cleaning Products, Tools, Spare Parts as seen onboard are included in the sale. She's truly in Sail Away Condition, ready to go anywhere Now. 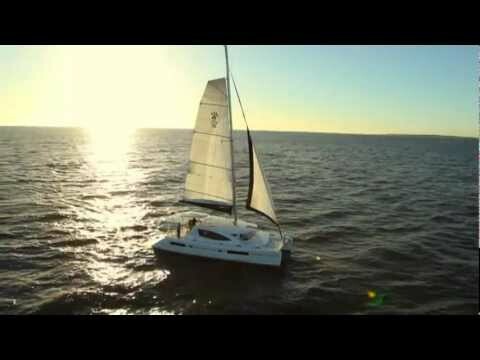 Don't miss out, call or email Leopard Catamarans Brokerage today!